A single fungal disease has wiped out at least 90 species of amphibians and had devastating effects on hundreds more, making it the most costly disease to biodiversity on the planet. 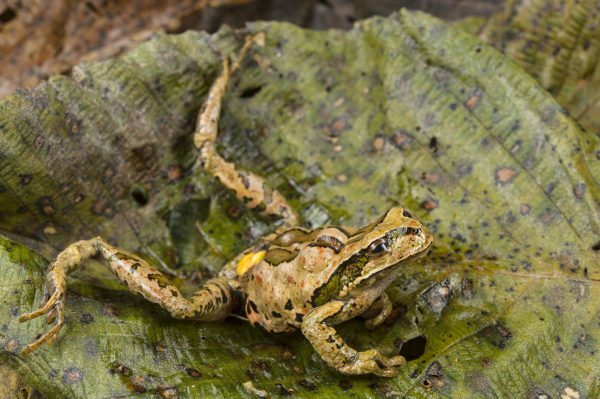 FIU Biologist Alessandro Catenazzi examines a frog that fell victim to a fungal disease that is wiping out a large number of amphibian species. The fungal disease — chytridiomycosis — has been found on all seven continents and is associated with mass die-offs among 501 species of frogs and other amphibians in the past half century, according to FIU biologist Alessandro Catenazzi, a member of the international research team that produced the global assessment. He said researchers had observed these catastrophic die-offs in their respective regions of the world, but this is the first time a global impact of this invasive disease has been put forth. Aside from the 90 species reportedly extinct, Catenazzi said 40 percent of the other impacted species continue to experience population declines. Only 12 percent of the impacted species have shown signs of recovery. “We don’t have any other example of infectious disease causing biodiversity loss at any comparable scale,” he said. Chytridiomycosis can cause a variety of effects, but the most deadly is the thickening of a frog’s skin which blocks the animal from keeping its blood mineral salts and water in balance. It can also disrupt skin respiration which in many amphibians is as important or more important than breathing. The chytrid fungus also produces toxins that paralyze white blood cells, thus impairing immune response of infected amphibians. This frog is dying of a heart attack because of chytrid fungus in its environment. Catenazzi spends much of his time in the field exploring the slopes along the Amazonian Andes of Peru, which just happens to be the most diverse area for amphibians globally. He has long known that fungal diseases are increasingly threatening animals and plants — something he has witnessed up-close in his work. He also knows that as global travel increases and more people encroach into natural areas, these movements only serve to spread these diseases. The researchers say many of the impacted species are still at a high risk of extinction in the next 20 years due to ongoing population declines caused by the disease. 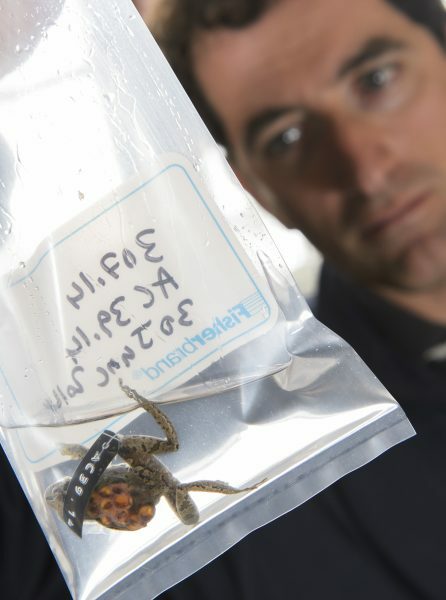 The researchers argue significant reductions in wildlife trade are needed to help slow the spread of chytridiomycosis and new technologies are needed for monitoring species recovery in the hopes of finding new ways to mitigate the deadly disease. The study was published today in Science.